Love and marriage has nothing to do with addiction to food or recovery from it. This needs to be said so you understand from the start that what I put in my mouth is my responsibility and I do not blame anyone else for my eating, not even the people who enable the behaviors. My husband and I can encourage each other or we can set each other off. 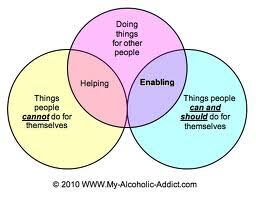 Whereas I have always been an addict, he has been an enabler. When I am in working on my recovery, so is he. When I was working on my relapse, he, unaware but always the gentleman, was helping me into the pit. Not that this was his intention. It is just the way things worked out. He wants me happy. If food was going to make me happy then by golly he was not going to be the one to deprive me of it. But after years of me actually doing the work of putting down the fork he no longer enables the addiction when he recognizes it. If I have squirrels running around in my head, he waits for them to get evicted and does not bring me junk just because I might whine for it. But my addict personality is full of deceit and I will lie to get what I want when it comes to food. I can appear perfectly alert, rational and under control on the outside while a raging addict desperately seeking my next fix is on the inside. I will talk to him calmly about eating out, getting take out or having an unusual dessert and he, despite all past history, will believe me to be sane and in control of my food and appetites and therefore, open to what I say. I do not blame him. He is not an addict. Being married to an addict does not make you an expert on what goes on inside the addict's mind. Only someone who has lived the life of of addiction can truly know what exists below the cool, controlled surface of the addict who is intent on hiding the truth. 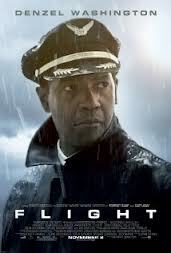 If you have not seen the movie Flight, with Denzel Washington, I urge you to RUN to the theaters and see it today. The movie features drug and alcohol addiction but trust me - if you have an addiction to food, you will find yourself identifying with some/many/all of the actions of the character in this story. And the ending of the movie is awesome. Great post , Jane. Thanks for the circle graphic and the movie recommendation. I know that I wanted to work on myself first before I am in my next committed relationship. Awesome post! Up until this point in my life my "Addict Personality" (I like to call him "Pie Hole") has been much more clever than the rest of me. It feels good for things to be going the other way for a change. I think of this as - they just want everything to be okay. and on some level, they think women are an enigma/nuts. So nothing ever makes much sense to them. they just go with the flow. And sometimes the flow is not good. I love your honesty and forthright way of putting things. Thanks for another great post.